Power in kickboxing is an important component for any student in training located in Northwest Arkansas or the World! It can spell the difference between victory and defeat. Power can be the ultimate equalizer in any fight. Harnessing your power isn’t as straight forward as simply packing on more muscle and ammunition. The key to harnessing power is to focus on the science of movement. which is what Inferno Martial Arts specializes in. In kickboxing, technique turns good punchers into knockout artists. It’s all too easy to fall into the trap of prioritizing power over technique. Everyone wants to put on entertaining performances and score incredible knockouts. The allure of power is strong, especially in kickboxing where knockouts reign supreme. But what athletes should realize is that technique isn’t just more important than power, it is the catalyst of power. With good, sound technique, a fighter’s form is enhanced, and his movements become tighter and more precise. This brings about the optimal flow that endows fighters with added power to win world championships, which Inferno has done in the past because of these principles. Power can be a natural gift that is difficult to be taught or trained, but can be developed. One way to harness latent power is to focus on technique. With good technique, whatever kind of power you possess is amplified. This is true in boxing, kickboxing, and even Brazilian Jiu-Jitsu or BJJ. Want to become a stronger, harder striker? Focus on your execution, rather than your muscular strength in your martial arts classes whether your in Rogers, Bentonville, Springdale or Fayetteville. Here are four reasons why technique is more important than power in kickboxing. To the untrained eye, kicks and punches may appear just to be thrown hard in hopes of connecting on your opponent with the best possible results. It’s more than that. There is a science to striking, and it is pretty intricate. Learning to keep your strikes tighter, maximizing the flow of movement, understanding how to transfer the power from the base of the legs through the torso and finally to the fist – these are just some of the details that make up the science of striking. Execute your strikes incorrectly, and you may not get the results you intended. Execute your strikes with proper technique, timing, and power; and you increase the rate of connection, enhancing the effectiveness of every landed strike. This ultimately gives you a better chance of knocking your opponent out. Instead of focusing on increasing power, focus on improving technique in every training session. In every sport, not just mixed martial arts or MMA, learning and understanding the basics is absolutely key to your development as an athlete. This statement could not carry more truth than in mixed martial arts. 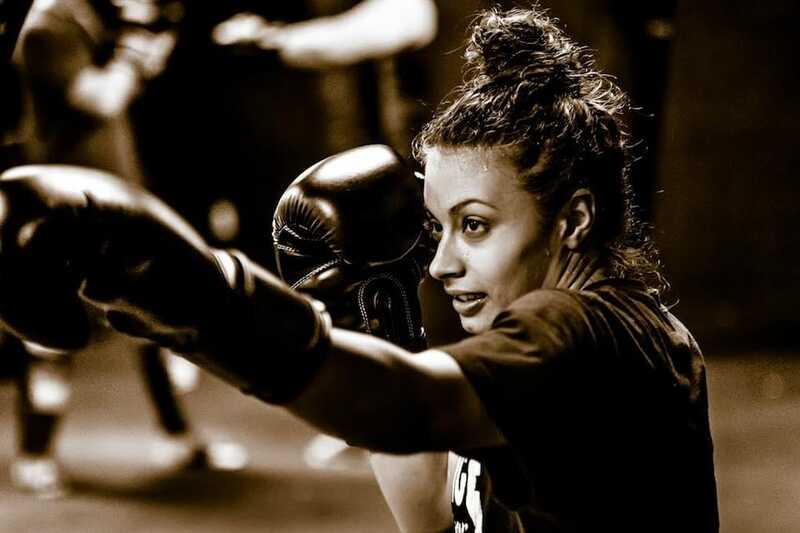 Kickboxing deals with a sharp learning curve from basic to advanced. The fundamentals are simple and easy enough to pick up, but very difficult to master. In fact, most martial artists spend years honing their technique for it to reach an advanced level. This is why most successful fighters began training at a young age, such as inferno’s Warriors & Teen class. As a beginner, place primary focus on perfecting technique. Pay close attention to learning and mastering striking fundamentals. This requires developing muscle memory. Muscle memory is developed by logging many hours of repetitive training, best performed with a coach watching every movement closely, so you have a different perspective. Once you have shown mastery in the fundamental skills of kickboxing, then you can move on to advanced techniques – all of which will help move you forward and improve your power. The prime objective before doing damage to an opponent should always be connecting kicks and punches at a high rate. In kickboxing, there is a saying, “You can’t hurt what you can’t hit.” This carries a level of truth. Connecting cleanly is one of the main scoring categories in a kickboxing fight. Clean and effective striking is always favored over the quantity of kicks and punches that land. It doesn’t matter how hard you can hit, if you can’t land clean on your opponent, then your effectiveness takes a big hit. The only way to improve your accuracy is by focusing on strategy and technique, combining the two together to form an intelligent offensive style. It’s not enough that you are throwing a hundred strikes every round, you also have to connect at a high rate. Once you tighten up your combinations, pick your spots better and understand how to maximize your power by prioritizing technique, you will begin to notice an increase in your knockout potential. Lastly, better technique means you become fuel efficient as a fighter, and are often fresher than your opponents towards the end of fights. This is especially key when an opponent is a heavy striker. By ensuring you have more energy to finish fights, you can outwork and overwhelm your opponents through the final stretches of any bout. By focusing on executing your combinations with proper technique, you become better at managing energy expenditure. You’re not wasting movements and burning unnecessary energy, of which you only have a limited supply in every bout. With better technique, you can maintain a constant energy level throughout a fight, and it will be hard for your opponents to keep up. A lot of fights come down to conditioning, especially in the beginner and intermediate levels of competition. Many times, it is the better conditioned athlete and the one that employs better energy management that wins fights. Throwing harder strikes is not a good way to manage energy levels. This is why technique trumps power in kickboxing.